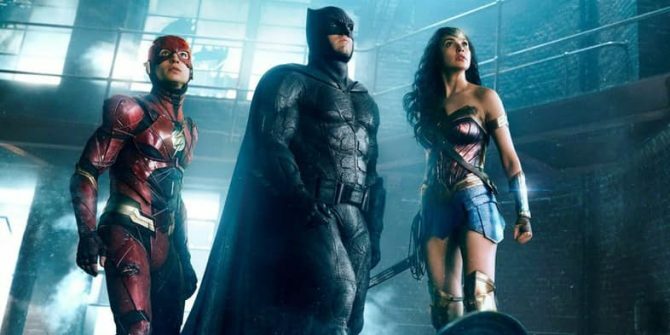 A new report compiled by Forbes suggests Warner Bros. has no plans to announce firm release dates for any of its future DC movies – Aquaman notwithstanding – until gauging the performance of Justice League in November. Those allegations were buried in a piece about Wonder Woman, its success, and why scheduling issues will likely prevent director Patty Jenkins and Gal Gadot from re-teaming anytime soon. Don’t worry, both are still contracted for the next chapter in the story of Diana Prince, but with Jenkins attached to develop a TV series – not to mention Gadot’s commitment to Justice League – it’ll be some time yet before moviegoers catch a glimpse of a Wonder Woman solo movie that takes place in modern-day America. Toss in the development woes that have plagued The Flash solo movie and, as things stand, the only other DC film that has a release date to call its own is Aquaman (December 21st, 2018). Don’t expect WB to break its silence anytime soon, either, as according to Forbes, the performance of Justice League will determine the lineup of the DC Extended Universe from here on out. Exactly how it’ll determine the DC slate is still up for question. Worst case scenario, Justice League achieves lukewarm reviews and a similarly tepid take at the international box office, but what then? Will Warner Bros. scramble to select the more prominent heroes and fast-track them into production? There’s a staggering amount of projects to choose from, too, what with plans in place for Batgirl, Gotham City Sirens, The Batman, Nightwing, Shazam!, Black Adam, The Flash, Suicide Squad 2, Green Lantern Corps, Wonder Woman 2, and the nascent Man of Steel 2, but it would appear that the studio plans to slow its output to two (or even one?) films per year as a way to offset franchise fatigue. The truth is, a lot is riding on how 2017 pans out. The studio wants to see how Wonder Woman performs (so far, so good on that front) and how Justice League turns out, before they barrel ahead with multiple more films every year. More films will get made, don’t worry, but it makes sense to ease off the gas a little and be certain about the best route ahead. Conversely, should Justice League strike a chord with audiences – thereby building on the momentum established by Wonder Woman – there’s every chance Warner will actually accelerate its output. After all, Gotham City Sirens and Suicide Squad 2 seem to be next in line to enter production, with actor Joel Kinnaman even hinting that the latter may begin filming late next year. Stay tuned for more on that one. Justice League will unite six of DC’s finest on November 17th, and following a family tragedy that forced Zack Snyder to vacate the director’s chair, Joss Whedon has been drafted in to helped shepherd the mega-budget ensemble movie across the finish line.